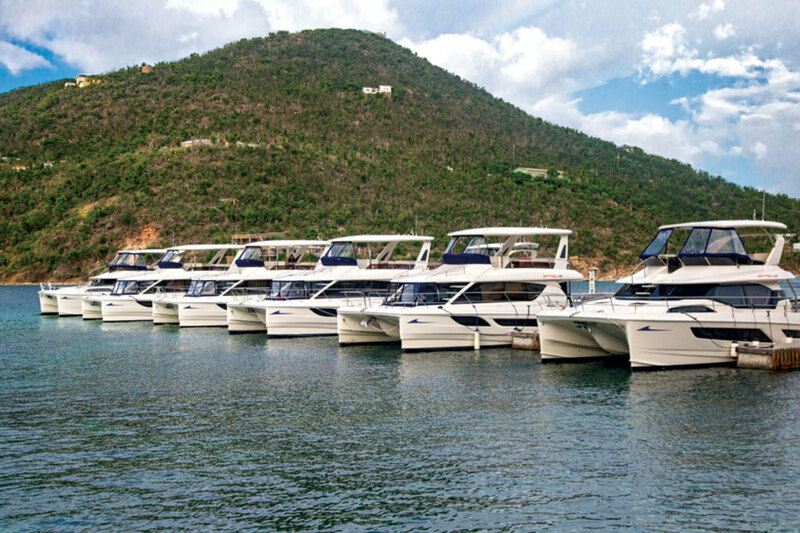 The majority of the MarineMax charter fleet is intact and ready to cruise. The writers were from several Active Interest Media marine publications, all sister titles to Soundings Trade Only. They visited the area with MarineMax and The Moorings, companies that usually are rivals, but that were showing, together, how the tourism-dependent region was ready for charter-boat, cruise-ship and independent boaters to return. “It was a pretty incredible experience,” says Power & Motoryacht editor Dan Harding. “I wasn’t really sure what to expect. I really came away with an appreciation for not just the islands, but more for the people there. Hotels are still struggling to get back up and running, so for now the islands are relying on boats and cruise ships to bring visitors. That way, no resources are taken from the islands — although the grocery store on Tortola, where the MarineMax Vacations BVI base is located, is open and stocked, says MarineMax Vacations vice president Raul Bermudez. 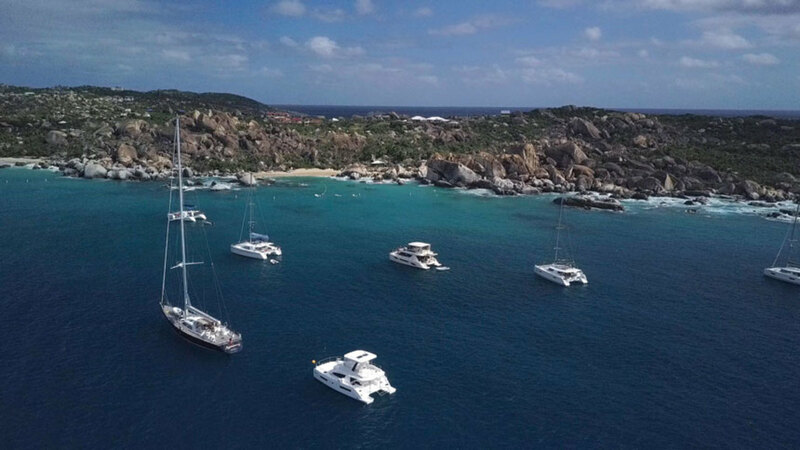 The Moorings lost about a third of the fleet at its Tortola base. Another third was damaged — and it’s a struggle to repair them because there aren’t enough people to do the work, says Josie Tucci, sales and marketing vice president for The Moorings. Reconstruction is underway on Jost Van Dyke. 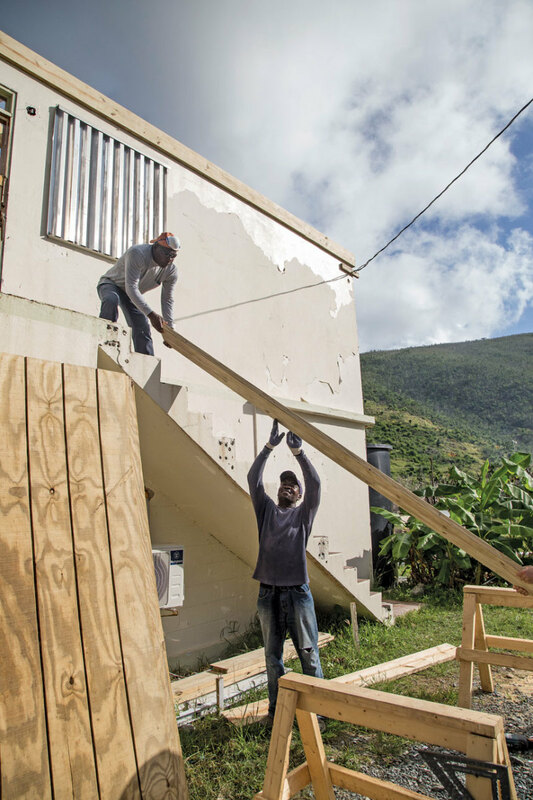 He estimates that it will take a year to 18 months to get all of the charter operations in the BVI back, and another six months before the islands’ infrastructure is restored. The damaged trees are regrowing foliage, and there are several replanting programs, Tucci says. The beaches are clean, and beach shacks, such as the beloved Roxy’s and the Soggy Dollar Bar on Jost Van Dyke, are back up and running. 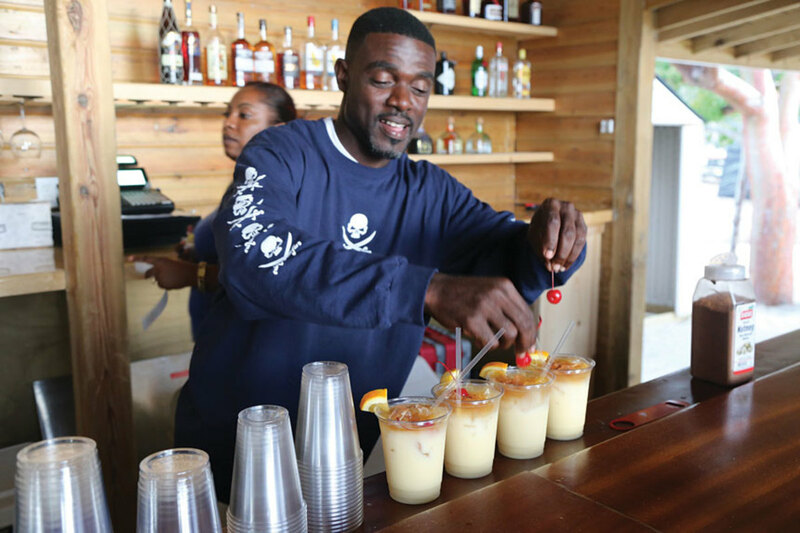 The popular waterfront hotpot Soggy Dollar Bar on Jost Van Dyke is open for business. With every day comes news of more establishments reopening, Tucci says, news that makes social media sites such as the BVI Traveller Facebook page helpful. Things are still spotty, detailed on the Sailors Unite #CaribbeanComeback website in the BVI Comeback Tour tab. Since that was written in early December, several places have reopened, Tucci says. Traveling with charter companies that can suggest itineraries based on what’s open and ready is helpful. Pain Killers are ready for serving at Pirates Blight on Norman Island. Tucci and Bermudez also say they’ve seen more first-time visitors than they expected. Some arrived after MarineMax Vacations, which is donating 10 percent of its revenue to the islands through March, posted videos on social media explaining that charters had resumed, Bermudez says. MarineMax and The Moorings, Harding says, came together for the initiative to bring tourism back to the islands in part because of Gary DeSanctis, group publisher and general manager of the AIM Marine Group. DeSanctis offered AIM’s assistance to provide industry and public updates. Another unexpected benefit of the storm has been some of the cleanest water that locals have ever seen. Virgin Gorda retains its rugged natural beauty. “People believe the water’s the cleanest it’s been in decades because of the lack of traffic,” Tucci says. Moorings are easy to come by, and the islands are less crowded than usual at this time of year, making it a great time for tourists to check out the bars and restaurants.